It’s a busy weekend of football, with Vancouver Whitecaps MLS, USL, and Residency teams all in action in crucial matches. After a long stint at home, the ‘Caps first team are back on their travels, heading to expansion side Minnesota United for the very first time. It’s rivalry week, so I guess we can call this one the Røvde Derby, as adding a bit of spice to the tie is United’s goalkeeper coach Marius Røvde, who left Vancouver after five and a half years to head to Minny. We chat with Marius [at 05:16] about his time in Vancouver, what prompted the move, Minnesota’s start to the season, their danger men, and ask, does he know all of David Ousted’s weaknesses?! The MLS guys may be on the road, but the USL team is at home, taking on OKC Energy on Saturday afternoon. And they’ll have a new face in the line-up, New Zealand striker Myer Bevan. We catch up with Myer [25:59] to chat about what brought him to Vancouver, his time in the Nike Academy in England, and his recent experience at the FIFA U20 World Cup in Korea. 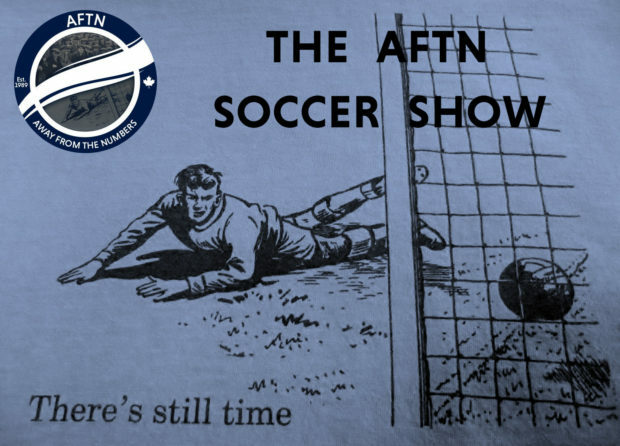 The AFTN Soccer Show is brought to you in partnership with BCsoccerweb.com, your one stop site for all your BC, Canadian, and North American soccer news and links.